Professor Maggi Dawn (Yale University) summarises some of the influences of the Bible on Western culture, in a talk at Radbound University on May 11, 2017. Professor Peter Hawkins (Yale University) delivered the 1995 Stone Lectures at Princeton Theological Seminary, on the topic of “Dante and the Bible”. Annette Yoshiko Reed delivered a lecture at Trinity University on February 17, 2016, on the topic, “The Bible Beyond the Bible: From Apocrypha to Anime.” The lecture was delivered in the 2016 Lennox Series and Seminar at Trinity University (San Antonio, Texas). Much has been written about the continued creativity surrounding the biblical past in relation to rich histories of Jewish and Christian interpretation of the Bible. But to what degree does the creativity of biblical memory-making go beyond biblical texts and canons? What do we miss when we limit our consideration of the culturally productive encounter with the biblical past to the textual bounds of the most dominant canons today? This lectures explores these questions by looking to some prominent “Old Testament pseudepigrapha” and “New Testament apocrypha” but also by tracing their reception from medieval art to modern novels to contemporary anime. The slides for the lecture are available here. In March 2011, the University of Oxford hosted a lecture series in Corpus Christi College, in celebration of the 400th anniversary of the King James Bible 1611-2011. The lectures are available in audio and video format at the links below. In addition, there is audio and video of a conversation between broadcaster Melvyn Bragg and Professor Diarmaid MacCulloch on the King James Bible, chaired by civil servant Christopher Patten, which took place on July 7, 2011, at the University Church of St Mary the Virgin. Professor Ilana Pardes, of the Hebrew University, Jerusalem, delivered the 2010 Samuel & Althea Stroum Lectures in Jewish Studies at the University of Washington. The lectures discuss Shmuel Agnon’s novel Yesteryear and the methods of Zionist and modern secular exegesis of the Hebrew Bible. The audio of each lecture is available in mp3 format. 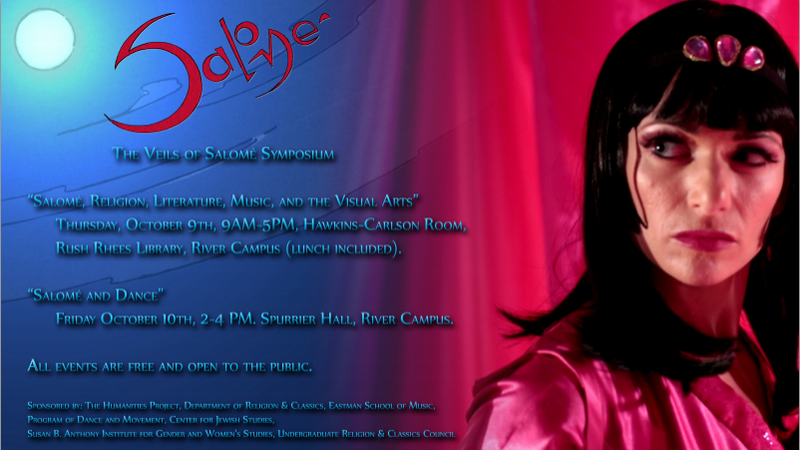 On October 9-10, 2014, the University of Rochester hosted a two-day symposium examining the reception history of Salomé. A number of the presentations at the symposium have been made available on YouTube. The University of Toronto hosts videos of a lecture series given by Northrop Frye in 1980-81 called “The Bible and Literature“. Transcripts of the videos are also available on the site. The lecture series coincided with Frye’s composition of his landmark work on the same topic, The Great Code: The Bible and Literature (1982). Between 1980 and 1981 Prof. Northrop Frye held 25 lectures under the title ‘The Bible and Literature’. Each of these lectures was recorded and for each of them a transcript was provided. The lectures are listed below.